How much attention do you pay to your posture? Whether sitting or standing, poor posture can lead to many health problems if not addressed and corrected swiftly. Fortunately, developing better posture is easy and straightforward enough to do. By changing how you stand and sit, any bad habits can be eliminated for good. If you’ve been feeling increased pressure, or strains and stresses around your body’s muscles and joints, now may be time to check your posture. If you find yourself sitting at a desk for much of your day, it can be so easy to develop bad habits such as slouching. From the types of chairs we use to the way we position ourselves at our computers or consoles, sitting for long periods will eventually encourage a hunch like appearance and increase the tension in our upper body muscles. Likewise, how you stand can also encourage bad habits in your posture. From standing for long periods at work to just standing in general, it’s all too easy to develop an incorrect positioning which ultimately leads to muscle imbalances. By remembering a few simple pointers, you could change any bad habits formed in a short amount of time, thus developing better posture. Many of us tend to put more pressure on one foot than the other, shifting our weight around as we stand, often not realizing that we’re doing so! We’re all guilty of slouching on the odd occasion but doing so repeatedly when standing draws our weight downwards and throws us off balance. An uncomfortable chair encourages bad posture. Additionally, if you don’t use your chair properly, that is sitting back fully into the chair, this can also aggravate the problem. Keep your feet on the ground placed flat and your hips above the level of your knees. Using your desk incorrectly can lead to considerable neck pain. Place your monitors at the right level in front of you with your keyboard and mouse within easy reach. Also, try not to use a laptop for long periods of time. With International Men’s Health Week now highlighting a growing number of problems men face, poor posture is being recognized as a significant problem that can affect all ages. Therefore, why not stop and take a closer look at how you sit and stand during the day? This way, you’ll be able to instantly recognize when your posture starts to slump and work on eliminating it for improved health long term. A rotator cuff can be understood as a group of four muscles and tendons around the shoulder joint that assists in movement and stabilization. They work in keeping the upper bone of the arm within the socket of the shoulder. They are also connected and also originate from the scapula. In case of an injury around the rotator cuff, it starts aching and becomes worse when you lie on the side that is affected. A shoulder ache is just one among the many muscle skeletal issues that arise from overusing the shoulder although there are other major causes. Swelling and a lot of pain on the front side of the shoulder. Feeling a lot of pain when you lie on the side which is affected. Pain that wakes you up at night when sleeping. Pain when trying to reach your back. The decrease in the ability to move the arm to the side. Pain that comes in a gradual manner and worsens especially when trying to turn the arm inwardly. Shockwave technology is a type of sports injury treatment that is done using water done in sports and spinal physio clinics. However, it has also been found to be effective in the treatment of internal organs and kidney stones. Shockwave technology in treating sports injuries began being in used in the 1980s. With the advancement of technology; a shockwave machine became more popular. It has been improved in terms of design over the years to become more efficient. Notably, it does not encourage using painkillers which are not effective because they only treat as per the time you have taken. It ensures the rotator cuff is fully functional after only four months of shockwave treatment in a sports and spinal physio clinic. The pain decreases after three weeks of beginning the treatment. It is also noninvasive therefore patients can undergo it and go home the same day. This also means you experience less bleeding; therefore, the body heals faster. For the last two decades, patients who have treated shoulder calcific of the rotator cuff have proved to have an increase in muscle strength, an increase in the range of movement and also quick pain relief. 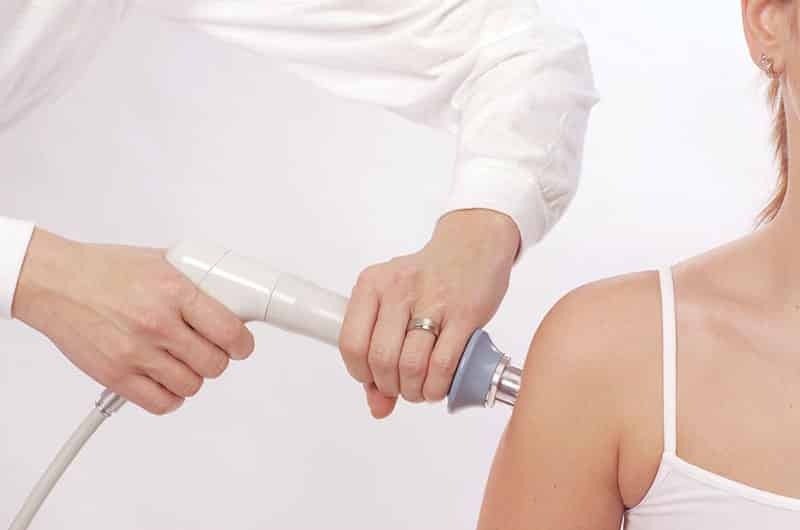 After the use of shockwave technology on a patient, the patient can also undergo physiotherapy. This is because it allows the shoulder to heal better by increasing blood circulation. Chiropractic (from the Greek kheir hand and praktikes practical) is a widespread complementary medicine system. Founded by D.D.Palmer in the 1890s describing it as ‘healing without drugs’, it is based on the theory that a healthy spine will enable the body to repair itself due to the nervous system it protects being undamaged by vertebrae joint misalignments. Manipulation of the spine protecting the spinal cord can correct misalignments, or subluxations, between any of the 24 vertebrae so enabling the body to heal itself. Although some conventional medical doctors still disapprove of chiropractic, it is widely accepted in Australia and is covered by most private insurance funds and even funded by the federal government should a patient be referred to a chiropractor. Most Australians go to chiropractors for the relief of low back pain. The problem is that most do not go before their forties when much damage has been done. They miss out on the benefits of good general health they might have enjoyed had they come to a chiropractor earlier. Some chiropractors restrict themselves to the relief of muscular-skeletal problems while others attempt to improve the health of the whole person. Such general benefits tend to come with longer term chiropractic care. Most chiropractors give relief from back and neck pain, conditions such as bursitis and other forms of arthritis, elbow, shoulder, arm and wrist pain as well as improvement in the movement of joints. Much of this is done on a relatively short term basis making the benefits likely to be temporary. However, much more is possible with chiropractic care over a longer period. The most obvious benefit is that of the long-term reduction of pain, particularly back pain and headaches. One study showed that the majority of migraine sufferers under long-term chiropractic care found that their migraines either disappeared or were much reduced (62% male and 81% female). According to chiropractic each organ is aligned, via the nervous system, to a specific vertebra so a misaligned spine protecting the central nervous system will affect many organs. These include the heart and lungs so if the nervous system works optimally cardiovascular health will be good as will be a person’s lung capacity which reduces the risks of developing asthma, heart attacks and strokes. A fully functioning nervous system also results in quicker reaction times, better balance and sharper vision as well as an efficient immune system. In a most striking study, conducted by The Journal of Manipulative and Physiological Therapeutics, people in the United States who were in long-term chiropractic care had 43% fewer hospital admissions, 52% reduction in medicine costs and 43% fewer surgeries and outpatient procedures. Spinescan have two chiropractor centres in Western Australia. One is South Perth chiropractor and the other is chiropractor applecross. Why not make an appointment and discuss your long term individual needs with a skilled chiropractor? A migraine is a common headache disorder that is characterised by recurrent headaches. The headaches can be moderate or severe. The headaches that affect one half of your head are typically known to be pulsating in nature. Associated symptoms can include vomiting, nausea and sensitivity to smell, sound or light. Generally, the pain worsens when you engage in physical activity. Studies have shown that up to 33 percent of people having this disorder have an aura. This is a short visual disturbance period signalling that a headache will occur soon. Occasionally, an aura may occur without or with a little headache following it. Studies have revealed the cases of a migraine to be approximately 3 million men, women and children. It’s believed that more women suffer from the disorder than men because of hormonal factors. The onset of the disorder is from childhood, but it is most common in the twenties and thirties. It’s relatively rare past the age of 40. Hence, prevalence rises from the first-fourth decades after that it declines. The disorder may also be a significant health problem among children. The first step to managing the disorder is learning about the symptoms. The International Headache Society (IHS) classifies a headache is a migraine in these instances. The pain you are feeling can be classified by two or more of the following. There are one or more of these associated symptoms. A headache that lasts for between 4-72 hours. Medication is a proven method of treating and preventing migraines. However, it’s only part of the solution. It is also essential to ensure that you are taking good care of yourself, plus know how you can deal with migraine pain whenever it strikes. The same choices of lifestyle promoting good health can reduce the severity and frequency of your migraines as well. 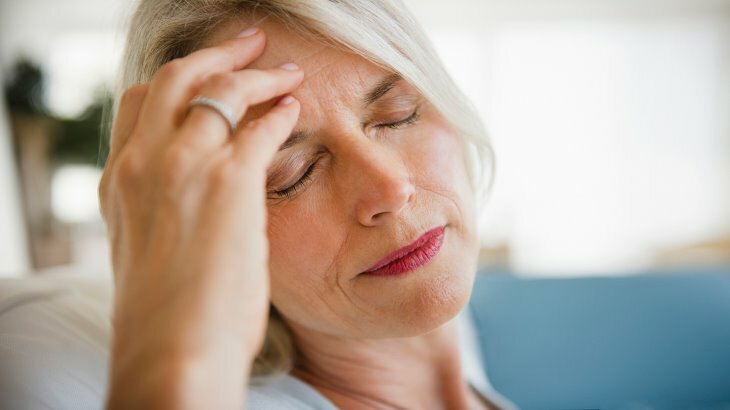 In fact, knowing how you can manage your migraine with behavioural and lifestyle measures, plus medication, can be the most effective method of handling migraines. At the first sign of the disorder, retreat from your normal activities if possible. You should turn off the lights because migraines usually increase sensitivity to sound and light. Relax in a room that is dark and quiet. Sleep if it is possible. Try temperature therapy – You can apply cold or hot compresses to your neck or head. Ice packs are known to have a numbing effect. This may dull the feeling of pain. Heating pads and hot packs can relax your tense muscles. Warm baths or showers may have the same effect. Take a caffeinated drink – In small amounts, caffeine can relieve the pains caused by a migraine during the early stages. Or it can enhance acetaminophen and aspirin pain-reducing effects. However, you should be careful not to take too much caffeine as it can cause withdrawal headaches later on. You should also ensure that you sleep well and eat wisely as eating habits may influence your migraines. You should be consistent in eating, do not skip meals and avoid foods that trigger your migraines. If you need an ealing chiropractor, Neuroworks Chiropractic Clinic uses modern diagnostic and treatment equipment together with a complete range of physical and chiropractic therapy techniques, medical acupuncture, vestibular rehabilitation as well as neuro-rehabilitation. Team Sports Are Great for Kids but is Football as Safe as we Think? 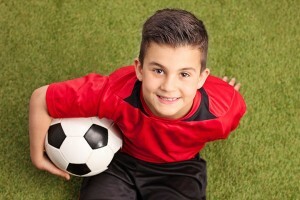 Participating in team sports is great for kids fitness and character building. Playing various sports plays a big part in fighting obesity and tackling the disengagement many of our kids are suffering from nowadays. How many of you spend nights fretting over the time your kids spend in the virtual world? Are you constantly thinking of ways to divert their attention? In Australia, a popular game for young people is football. However, there is a lot of concern being raised about the suitability of this contact sport for children. The reason for this is that tackling moves can have a significant impact on a players well being. Other features of the game that can impact on players health are the repeated rapid acceleration and deceleration, jumping, bending, agility and other types of collisions. The game itself is played over an increasing number of short high intensity periods of play and longer stop periods. For adults, weighing up the risk of being injured against the benefits of playing football is much easier. For younger people the choice is a little more difficult. There has been some important research undertaken recently, with regards Australian Rules football. Two big name clubs participated in the study. It was found that chiropractic can reduce the risk of player injury, significantly. The injuries under the microscope were hamstring injuries and lower limb muscle strain. These are the two most common injuries in the sport today. It is the first research of its kind, and there were some important issues raised. A total of 59 players took part in the study, from two teams. The players receiving chiropractic care missed only four matches during the season, while those not receiving care missed a total of 35 matches. As well as reducing hamstring injuries and lower limb muscle strain there were also improvements in non-contact knee injuries, lower back pain and a general improvement in players physical health. In the US, there are an increasing number of professional sports teams that are turning to chiropractors, many of whom have become an important member of the team staff. For example, 32 NFL teams have an official team chiropractor. AFL football clubs are also now turning to chiropractors to help reduce the risk of soft tissue injuries. You might be thinking that visiting a chiropractic centre, like Sunbury Chiropractor, is not for you. However, this centre is experienced in sports chiropractic, with a special interest in young children. If you’ve got a young family member or friend who loves playing football, consider paying a chiropractic centre a visit in order to reduce football related injuries. Clinical pilates is an alternative treatment for injuries and individual needswhere specific pilates exercises are practiced according to individual needs. The technique focuses on breathing, stretching and controlled movements and it can be part of a successful therapy. Assessment and personalised clinical pilates programs are conducted by physiotherapists and chiropractors. The chiropractic adjustments are based on applying a controlled force and exercises to improve function, mobility and to reduce pain. Improving function and mobility can reduce the risk of sports injuries. One example is the running-related lesions. A study published in the International Journal of Sports Medicine explains that these lesions can be caused by inefficient movements. A 6-week course of clinical pilates can improve the functional movements in recreational runners, thus reducing the risk of injuries. According to an article published in the European Journal of Physical and Rehabilitation Medicine, many patients with low back pain having daily pilates sessions found theirreducing. This finding suggests that clinical pilates can contribute to breaking the cycle of pain and physical activity intolerance. The scientific literature also reports improvement for patients with shoulder pain. A recent research conducted by the Istanbul Medipol University discovered positive effects of clinical pilates on students at the undergraduate level. After the clinical pilates classes, participants increased their physical awareness and were more aware of correct posture. Patients with injuries or disease can find it very painful to move around. This can drastically limit their physical activity. Clinical pilates is an option to help reduce such pain. One study from Eastern Mediterranean University reported that osteoporosis patients could reduce their pain and also improve their quality of life with regular clinical pilates treatment. Where can you find experienced professionals to start your clinical pilates program in Hobart? Your Health Hub professionals work with trusted techniques to treat spinal and other nervous system issues. Heart Rate Variability (HRV) doesn’t have much to do with your heart, it’s a test that examines your nervous system. HRV has been used in several professions for more than four decades before: it is now being used in chiropractic. Dating back to 1965, many books, articles and papers have been published on Heart Rate Variability. As a result, HRV has one of the largest research institutes behind it of all the modern diagnostic methods. Consequently, the name “Heart Rate Variability” stuck because all the published research uses it. 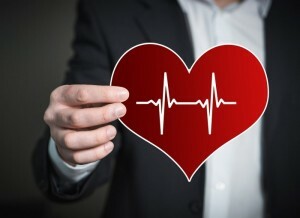 Heart Rate Variability was introduced to chiropractic during the late nineties when Eingorn et al was focusing on the probability of including Heart Rate Variability in chiropractic offices as a standard test. However, it wasn’t until around last decade that saw the publication of the first-ever studies on chiropractic care effects on Heart Rate Variability. Also, it was during this period that commercial testing equipment started being available to enable Heart Rate Variability to be utilized in a chiropractic office. The neuroendocrine connection autonomic nervous system to the adrenal system. The balance between parasympathetic and sympathetic, which are the divisions of the autonomic nervous system. Hypothalamus activity. Hypothalamus is a portion of the brain that controls and coordinates both sympathetic and parasympathetic branches. Hypothalamus activity in its role of autonomic nervous system coordinator. The overall activity of the autonomic nervous system, which is typically a direct measure of autonomic nervous system health and adaptability. Assessment of the human body adaptive capacity requires ANS assessment because the tone of both the sympathetic and parasympathetic systems are vital determinant factors of the level that your body is able to marshal its regulatory reserves so that it can deal with stress. HRV asses this system’s tone and then the data is interpreted in several ways. Reimbursable by insurance – Most of the insurance plans cover HRV costs when it’s billed in the proper way. Modern HRV equipment provides reports that enable doctors to easily explain to their patient about the HRV results. Legal defensibility – Heart Rate Variability provides a reliable measure of chiropractic care effects on conditions resulting from imbalance ANS. Ease of use – Heart Rate Variability can take only five minutes to be measured and doesn’t need the use of an Electrocardiography (EKG). Non-invasiveness of the test – Heart Rate Variability testing does not require blood draws, needles and produces no radiation. Bathurst Chiropractic is your best Bathurst Chiropractor; we do everything to help you live a better life. Bathurst Chiropractic’s health philosophy is optimal wellness, not just pain relief. When you’re in pain, your body will send you a signal telling you that something is wrong in your life. Our focus is to identify and correct those problems using the latest technology. We direct care towards our patient’s nervous system because it’s the control system within your body. Dysfunction here can cause wide-reaching plus dramatic effects. Call (02) 6331 1004 now to schedule an appointment. Snoring is the sound of the respiratory structures vibrating and the resulting sound caused by obstructed air movement when breathing while someone is sleeping. The sound might be soft in some cases, but in most cases, it’s loud and unpleasant. It puts so much strain on relationships; it’s disturbing to the snorer’s sleep as well as the people sleeping near them. It may be a first alarm or a sign of OSA (obstructive sleep apnea). OSA is a type of sleep apnea caused by partial or complete upper airway obstructions. It’s characterised by repetitive shallow or paused breathing episodes during sleep, despite efforts to breathe. It’s known to cause a condition called sleep deprivation to snorers plus those nearby, as well as decreased libido, lack of focus, irritability and daytime drowsiness. Also, it can cause social and psychological damage to sufferers. Many studies show a positive association between loud snoring with a risk of heart attack (around +34 percent chance) and stroke (around +67 percent chance). Though it’s generally considered as a minor affliction, snorers may suffer severe lifestyle impairment. Studies reveal that there is an improvement in marital relations after the correction of the condition. Your partner should find out why they are a snorer. To help them, you can convince them to make an appointment with a sleep study specialist. They look the same as what athletes wear for their teeth protection during games. It works by comfortably supporting your partner’s lower jaw in a forward position. That opens up the airway sufficiently, allowing the airflow to flow without being obstructed when your partner is sleeping. Westside Dentistry designs anti-snoring mouthpieces that will help your partner with the architecture of their mouth when sleeping. They are designed to keep the head perched comfortably sideways. Anti-snoring pillows are effective in working with individuals who are mild snorers. You should try different pillows to find out which one works best for your partner. Recommend your partner to sleep on their side rather than their back. Shifting your partner’s position to make them lay on one side instead of laying flat on their stomach or back reduces the amount of pressure on their throat: this helps to prevent the problem. If you have tried everything and your partner is still a snorer, try switching the focus to yourself and get a white noise machine. It’s a device designed to produce a sound with a random character. It sounds like wind blowing through trees or rushing waterfall. It helps in drowning out sounds that prevent you from waking up while sleeping or falling asleep. Smartphones also have a white noise setting that can help you in this situation. They can help you to block out the noise made by your partner while sleeping. As a result, you can enjoy your sleep. Make sure that the earplugs you use are of high-quality plugs, and they fit safely and securely in your ear without falling out while you are sleeping. If your partner is overweight, advise them to lose weight as it may reduce their problem by decreasing the fatty deposits around and in their neck. This will increase the size of their airway. You can encourage them by going together for a walk, try making them go on a diet or anything thing that will make them lose weight. If your partner is a snorer, you can use these methods to help them with the condition, you do not have to sleep in separate beds or rooms with the one you love. Chiropractors Can Help in the Treatment of Lower Back Pain in the Fast Bowlers? The fast bowlers are prone to injuries because a force of about 8 to 10 times the body weight gets transmitted along the body during fast bowling. This force along with the lumbar movement is responsible for the risk of injuring the lumbar spine. The lumbar fracture develops due to the repititive hyperextension combined along with the rotational force. Thus the lumbar stress fractures are common amongst young athletes especially during the period of faster growth. What is Back Stress Fracture and its Symptoms? Fast bowlers are prone to develop back stress fracture. The overload and complicated bowling techniques contribute to the development of spondylolysis or lumbar stress fracture. According to research, mixed bowling technique is responsible for lower back injury more than the front or side on techniques. Back fracture or lumbar fracture symptoms include unilateral back pain of the lower region, worsening of pain by the lumbar extension and improvement of symptoms with rest. How to Deal with the Problem of Lower Back Pain? Chiropractic care is effective for treating spondylolysis. It is a conservative way of treating patients and its goal is to minimize the lower back pain and to facilitate healing. If you consult your Perth chiropractor, he would help you in treating your back stress fracture in the following way. This is the first phase of treatment in which the Perth chiropractor makes use of a host of tools for reducing inflammation and pain. The treating tools include acupuncture, tens machine, ice, techniques of de-loading taping, massage of the soft tissue and the use of a supportive brace for warding off excessive load from the site of injury. The chiropractor would even advice you to refrain doing activities that would cause pain. He would use ice therapy and suggest exercises that can ward off excessive load from the inflamed tissues. He even prescribes anti-inflammatory non-steroidal medication to minimize inflammation and pain. In this phase, your Perth chiropractor can make use of a back brace for stabilizing joint. He uses trigenics which is a futuristic technique for assessing, training and treating the neurological muscle. In some patients, they use the ‘anti-lordotic brace’ to settle the pain. Hydrotherapy exercises in many cases are used by chiropractors as it proves to be beneficial for the repair of early injury. After the inflammation subsides the chiropractor emphasizes on restoring the normal posture and range of motion of the back joint. Mobilization of the stiff joint next to the spondylolysis is required to reduce the stress caused by pars interarticularis. Exercises are suggested to the patients to restore the muscle coordination and strength. After assessing the pattern of the core muscle recruitment the Perth chiropractor would suggest the exercises best suited to your requirement. In this phase modified technique of bowling is introduced to help players resume the normal exercises and activities like running, jogging etc. Your Perth chiropractor would help you to resume the sports activities. It may take about 12 weeks or a little longer to return back to sports.